Tin – No Longer a Boring Metal!?! 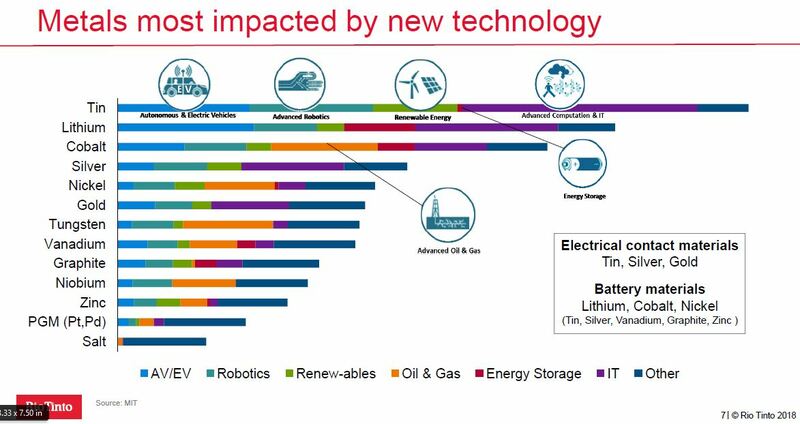 We’ve all heard lots of hype about lithium, cobalt, nickel, and even vanadium being the hot metals associated with electric vehicles and batteries. Lithium has lost some of its luster due to Tesla’s struggles as well as potential that SQM could flood the lithium market. I still like cobalt due to the supply concentration from the DRC, a hellhole of a country that, ironically, has amazing mineral endowment. But, this is the first time I’ve seen or heard anything about tin possibly becoming a hot metal. Continue reading Tin – No Longer a Boring Metal!?! The stock market’s recent triple-digit swings might have many investors wondering if the path of prices is completely random. But, as random as prices may appear, EWI’s analysts can assure you that a recognizable Elliott wave pattern is unfolding. In other words, we’ve been here before, and we have a good idea of how it’s going to turn out. No, the stock market is not random. 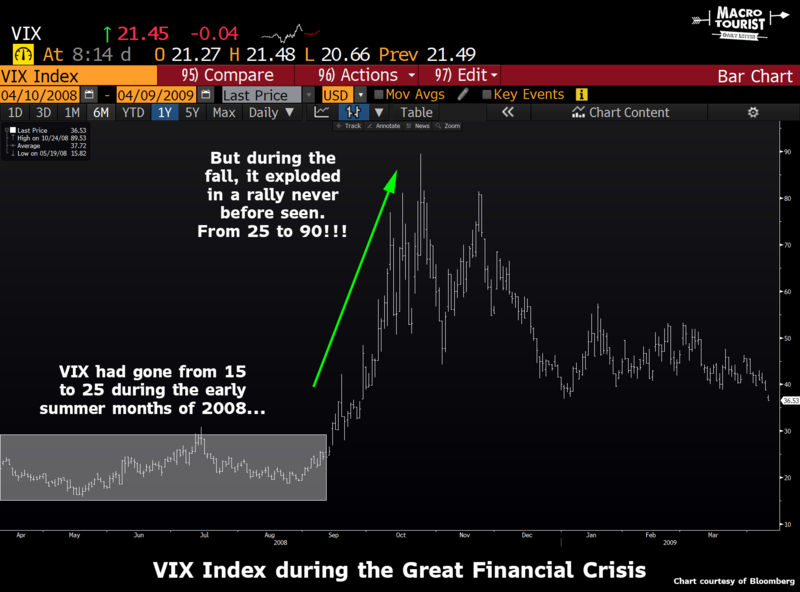 In fact, Elliott waves are the clearest when volatility is the wildest! You see, volatility is driven by investors’ emotions, and Elliott wave price patterns in market charts are nothing more than a reflection of this investor psychology. What’s more: investor psychology unfolds in those recognizable and repetitive patterns that I just mentioned, whether on an intraday basis, day-to-day or across longer time frames. Even independent scientists say so. Scientific discoveries have established that pattern formation is a fundamental characteristic of complex systems, which include financial markets. Some such systems undergo “punctuated growth,” [or] building fractally into similar patterns of increasing size. Now consider that most of nature’s fractals are governed by the Fibonacci sequence. It begins with 0 and 1, and each subsequent number is the sum of the previous two:0,1, 1, 2,3,5,8,13,21,34,55 and so on. The Fibonacci sequence also governs the number of waves that form in the movement of aggregate stock prices. That is to say, Trump’s new Fed chairman, Jerome Powell, amounts to Janet Yellen in trousers and tie. In fact, you can make it a three-part composite by adding Bernanke with a full head of hair and Greenspan sans the mumble. The overarching point here is that the great problems plaguing American society—scarcity of good jobs, punk GDP growth, faltering productivity, raging wealth mal-distribution, massive indebtedness, egregious speculative bubbles, fiscally incontinent government—-are overwhelmingly caused by our rogue central bank. They are the fetid fruits of massive and sustained financial repression and falsification of the most import prices in all of capitalism—–the prices of money, debt, equities and other financial assets. 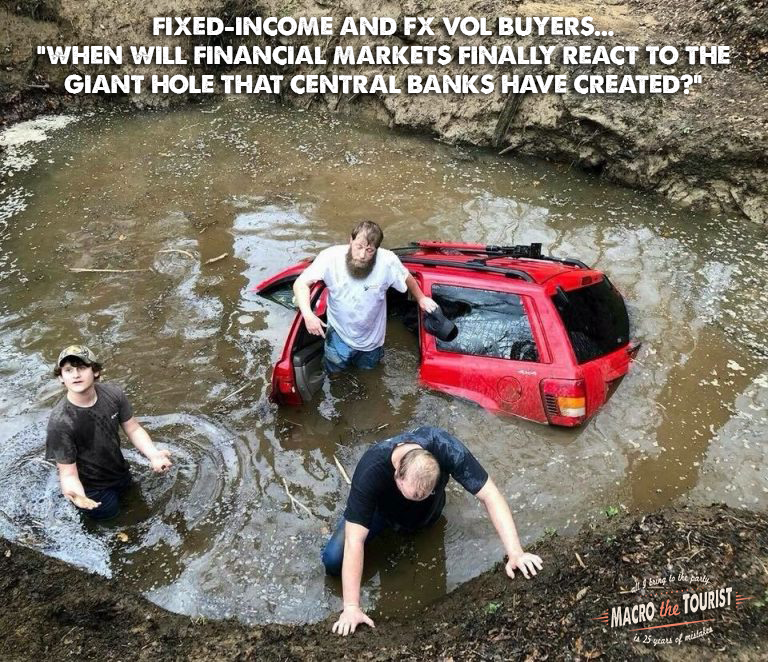 Moreover, the worst of it is that the Fed is overwhelmingly the province of an unelected politburo that rules by the lights of its own Keynesian groupthink and by the hypnotic power of its Big Lie. So powerful is the latter that American democracy has meekly seconded vast, open-ended power to dominate the financial markets, and therefore the warp and woof of the nation’s $19 trillion economy, to a tiny priesthood possessing neither of the usual instruments of rule. Since the BTFD crowd and “it’s still a bull market” imbeciles were after me today, I thought this would be appropriate…………..
As we move deeper into the year 2018, and as the market slips lower, I am increasingly confident that the gargantuan bull market that started on March 6 2009 ended on January 26 2018. We all know that no one rings a bell at the top………but I think we’re all starting to hear the ringing anyway. With that in mind, I decided to take a look backward at the kind of chatter that was going on in mainstream financial media when the market was peaking. What became quickly clear was two “legendary” voices – – Bill Miller and Jeremy Grantham – – took center stage and encouraged people to throw all their money into an equity market that had already gone up over 300%. Let’s start with the first “legend” – – Bill Miller – – who in January 2018 (that is, the month the market reached its highest peak in human history) notified planet Earth that the market was going to “melt up” by 30%. Below is the chap making this prediction. I dunno, but it seem to me the only thing reliably melting up is his consumption of hamburger sliders. But let’s not get sidetracked. This relentless review of the basics paid off. His team, the Green Bay Packers, won five championships, including the first Super Bowl. It also pays to master the basics of Elliott wave analysis. The basic Elliott wave pattern for financial markets is five waves in the direction of the main trend with corrections, i.e., moves against the trend, unfolding in three waves. So, in an uptrend, prices would rise in five waves and fall in three waves. In a downtrend, prices would fall in fives and rise in three waves. With that in mind, let’s review how our U.S. Short Term Update editor made this bearish call on the U.S. Dollar Index last November.